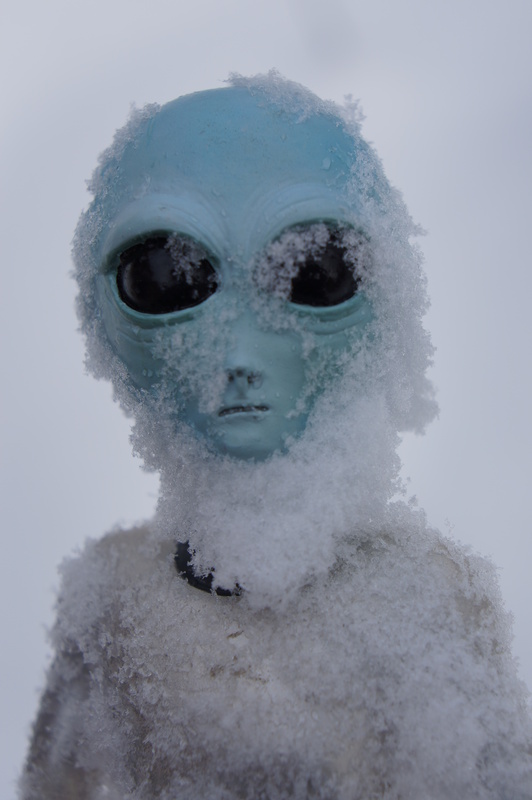 Never one to have a sense of humor, our resident alien did not like his first foray into the snow the other day. He especially didn’t like that I was laughing at him when he came up looking like he had a Santa beard! He has a lot to learn about earth and he has realized this is not an easy mission. your alien looks kind of spooky. Nice. Thanks Tim, he has that spooky look because we cannot get him to crack a smile!